Reebok Men's Shorts Just $6.99! Down From $30! Shipped! 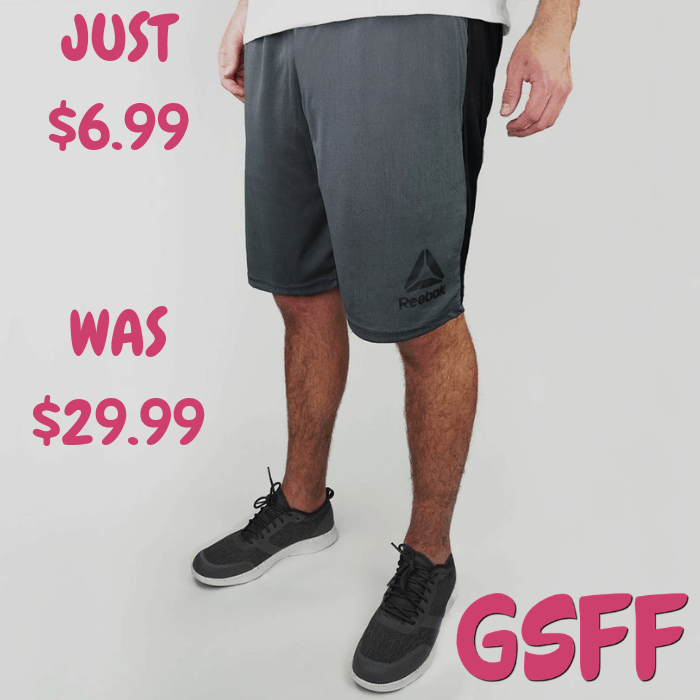 You are here: Home / Great Deals / Reebok Men’s Shorts Just $6.99! Down From $30! Shipped! Reebok Men’s Shorts Just $6.99! Down From $30! Shipped! Score this Reebok Men’s Shorts which is on sale at Proozy for just $6.99 down from $29.99 when you use promo code PZY699 at checkout PLUS FREE shipping! Put sweat in its place wearing Reebok Men’s Contrast Shorts. Speedwick technology wicks moisture away from your skin, helping you stay dry and more comfortable.